A comedian with no political experience has won the most votes in the first round of Ukraine's presidential elections, early results indicate. With half the ballots counted, Volodymyr Zelensky - who plays the president on TV - got about 30%, with current leader Petro Poroshenko on 16%. 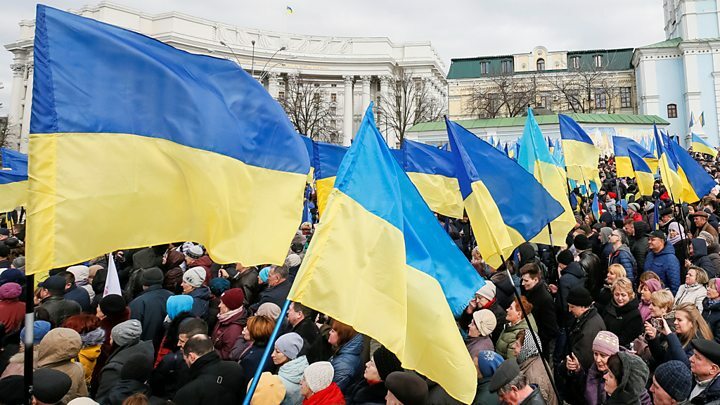 What would a comic president mean for Ukraine? 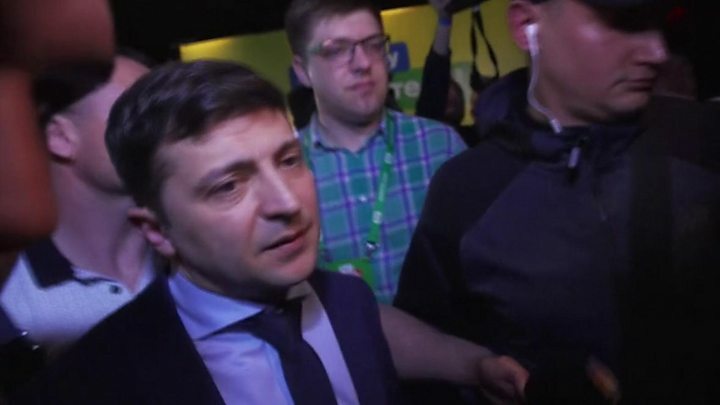 "I'm very happy but this is not the final action," Mr Zelensky told the BBC's Jonah Fisher, minutes after exit polls were announced. Mr Zelensky is aiming to turn his satirical TV show Servant of the People - in which he portrays an ordinary citizen who becomes president after fighting corruption - into reality. Mr Zelensky's readiness to speak both Russian and Ukrainian, at a time when language rights are a hugely sensitive topic, gained him support in Ukraine's largely Russian-speaking east. Mr Kolomoisky is the owner of TV channel 1+1 - which has given fulsome support to Me Zelensky. But Mr Zelensky has insisted he is "no puppet" of Mr Kolomoisky.